DreamzIoTBlog IoT pets TechnologyHow IoT Will Help You To Build A Stronger Bond With Your Furry Friend ? Technology has not only transformed the way we live our lives, but it has also improved our relationships. Just like our relationships with our friends and family, technology has also bridged gaps between pets and pet owners significantly. Today, we get to see smart devices built leveraging IoT, which helps the owners build a stronger and a more meaningful bond between the pet owners and pets. Along with helping the owner keep a close eye on their pet, IoT is also paving the way for better communication between the pet and its owners. This is reflected in products that facilitate real-time communication between humans and animals. The use of Wi-Fi enabled HD surveillance cameras allows the pet owners to seamlessly communicate through a two-way audio system while watching each other. Furthermore, we are getting to see new devices which allow the owners to remotely control a laser pointer in the pet’s room, which is a fun way to play with their pets as the pet chases the red dot of the pointer. These devices are targeted at working professionals who spend long hours and sometimes days away from their homes and help bridge the distance virtually. Pet owners and experts share the opinion that strong relationships between pets and owners begin with training where both the beings learn the nuances of communicating with each other. Pet parents facing a time crunch cannot afford to leave a young and untrained cat or dog at home all by itself. Under such circumstances, IoT has managed to make things manageable as there are applications that allow the pet owners not only play but also train their four-legged friends from a distance. Besides watching the pets and speak to them through speakers, it is now possible for the pet owners to dispense treats remotely using the owner’s smartphone. Hence, this can be effectively used when training as the owner can fling a treat or two when the pet successfully obeys the command of the owner or when the pet performs a trick. Now it is possible for the owners to monitor the pet’s health even when they are hundreds or thousands of miles apart. Ongoing researches give the pet owners hope that soon it could be possible to track the behaviour and motions of the pet to identify any health issue that the pet may be at risk of, or suffering, from a distance. This can be done by introducing Artificial Intelligence and Machine Learning in pet care devices. Artificial Intelligence can help inform the pet owner if it detects that there is an anomaly in the movements of the pet. If it finds that its movement is significantly less, then it can inform the owner that the pet is not feeling well or is suffering from a sickness. Similarly, post-monitoring, if it finds that the pet is panting more than usual, then it can intimate the owner that the pet is perhaps suffering from dehydration. Under such circumstances, it puts the owner in a much better position to take action at the earliest, which is often not possible when the owner is at a considerable distance. Such timely notification can often help avoid severe health issues of the pet. These innovations will come in effect in the next few months and once these advancements hit the market, it is expected to change the way pet ownership is viewed today, as it will help the owners understand their pets much better. As more people are identifying their pets as their family members, and are willing to go to greater extents to ensure their well-being, the market for these devices and applications have also grown exponentially. This is evident from Technavio’s prediction that the global pet market is expected to grow at a CAGR over 16% in the next two years. As a result, many companies have attempted to tap the market. However, among all the options available today, it is Dreamziot which has made the biggest mark among the pet lovers across the world. 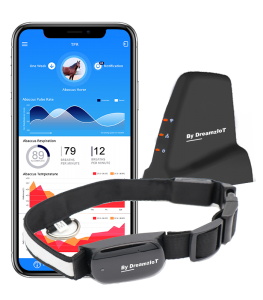 Dreamziot’s pet trackers have enabled thousands of pet owners to track and monitor their pet’s health more effectively than ever before. It has commanded respect in the market for bringing the blockchain-based, member-owned smart pet solution. It has intelligently incorporated technologies like the Internet of Things and Artificial Intelligence in the applications to come up with a product that helps pets live a longer and a healthier life. It allows the owners the luxury of tracking the pet’s activities on a minute-by-minute basis. Regular tracking of activities such as distance travelled, sleep quality and calories burned can go a long way to ensure that the pet is happy and in the process so is the owner. 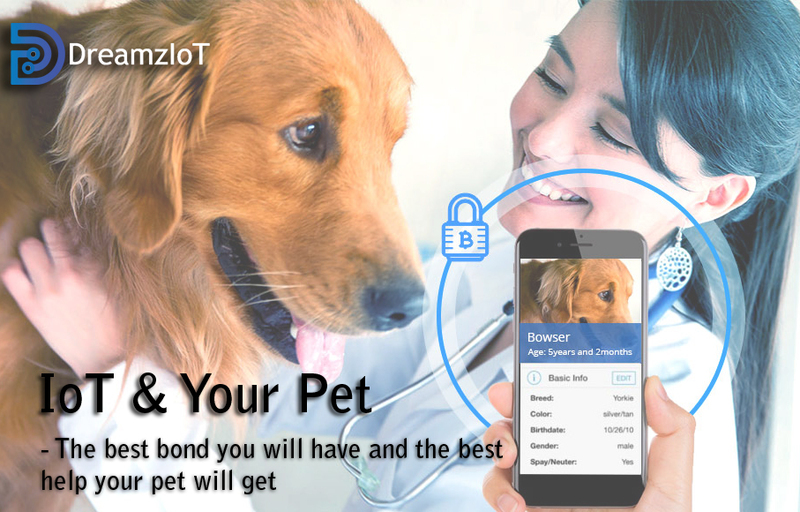 In addition to that, Dreamziot’s pet tracker also allows the pet owners and doctors to create a blockchain secured app and effectively control the pet’s health on a single platform. Other interesting and helpful features that are worth mentioning in this pet tracker includes trigger alerts on events, data visualization, and predictive analytics. While the former enables the owners to set rules to trigger based on certain events such as the body temperature of the pet, the latter provides detailed insights on the pet’s health data and the health forecast. Apart from these, there are many features on this IoT based tracker that helps pets stay healthy, fit and happy.